Home / CELEBRITY NEWS / FANTASY/SCI-FI / Peter Dinklage, Josh Gad Play Unlikely Heroes in "Pixels"
In the film which also stars Adam Sandler, aliens attack the Earth, using 1980s videogames as the model for their attacks. As US President Cooper (Kevin James) calls on Sam Brenner (Sandler) to put together an expert team of Arcaders to help fight the aliens, Brenner tracks down the now-grown men who were the champions as kids. 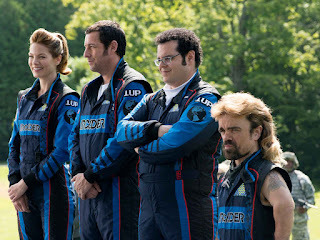 "HARRY POTTER" DIRECTOR CONJURES '80S VIDEOGAMES FOR "PIXELS"
Josh Gad joins the cast as Ludlow Lamonsoff, the youngest member of the Arcaders. “He’s a little younger than the other guys – he was kind of the Wonder Kid,” says Gad. Once the child prodigy amongst the gamers, he’s now a conspiracy theorist who never quite got over his childhood crush on Lady Lisa, the cartoonish lead character in Dojo Quest, his favorite game from back in the day. CHECK OUT EARTH'S UNINVITED VISITORS - "PIXELS MOVIE" TEASER POSTERS RELEASED! 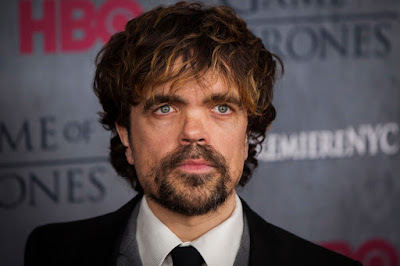 Peter Dinklage stars as Eddie Plant, a/k/a The Fire Blaster. Though he has risen to fame with his dramatic role in “Game of Thrones,” Dinklage is equally adept at comedy.